These days, with burglary, theft and home invasion on the rise, all our homes and businesses are under a much greater threat. 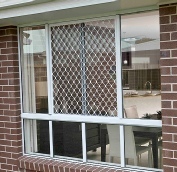 Aview Windows and Doors ensures your peace of mind by giving you the knowledge that your windows and doors are secured with the very best quality security grilles. 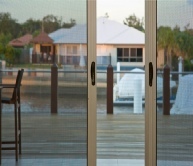 Aview glass offers a range of invisi-gard stainless steel screens, offer you that quailty with a woven wire product that is manufactured using a marine grade 316 high tensile stainless steel wire. Can be used in multiple applications with hinged & sliding doors, various window applications. When purchasing a new invisi-gard or security screen you should always make sure they are a police cleared installer before accepting any new security works to be done to your property. Aview Windows and Doors has a licensed installer on site.